Morgan Harper is leading the race to replace Josh Morris in the Canterbury backline this NRL season. After being anointed Josh Morris' Canterbury successor by the former NSW and Australian star himself, Morgan Harper is starting to believe his NRL dream is within reach. 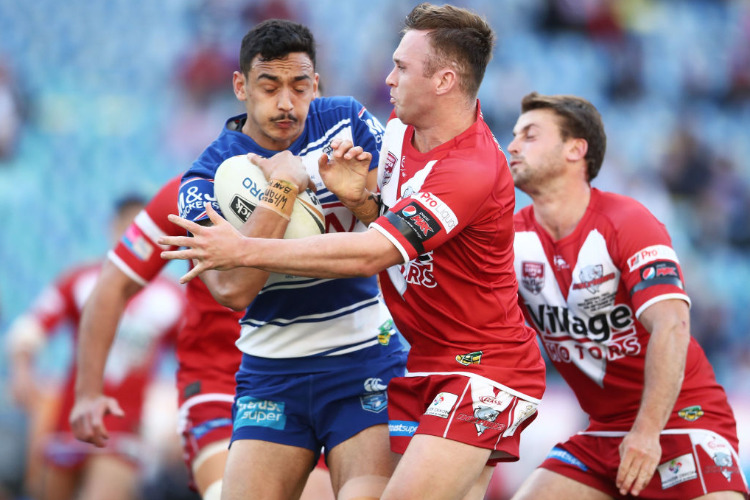 Harper's star has risen steadily over the last six months and looks set to make his first-grade debut in the Bulldogs' season opener against the Warriors in his native New Zealand on March 16. When he accepted an offer to take up a contract at Belmore in 2017, after standing out at a high performance camp, he didn't know what to expect from life in Sydney. "I'd never been around big cities. I've travelled to big cities but to work here was different," Harper told AAP. "I took it on as an opportunity, I had to take it on. It's heaps different to home. The amount of people and what goes on. "Traffic's the worst mate. Honestly there's no traffic lights (in Ngaruawahia). There's two roundabouts in the whole town." "I've got two young kids and I want to be a bit of an example to them," Harper said. "Coming from a small town like Ngaruawahia, if a young fella like me can make it, why can't they. He came up with the match-winning play in the Bulldogs' reserve grade grand final victory, producing a one-on-one strip on Newtown's Matt Evans before racing 15 metres to score and break a 12-12 deadlock with nine minutes remaining. "I was pretty stoked to hear that coming from a player like Josh, he's played Origin and for Australia," Harper said.